Being a missionary, I am always looking of ways to share the good news of the gospel everywhere I go. Honestly, I believe, it isn’t just the missionaries that are called to do this, but any true follower of Jesus Christ. Lately, news of my niece, Taylor Tippett, an airline attendant for American Airlines, who has left encouraging notes taped to the window seats of unexpected passengers for them to find when they board, has stirred my heart to do the same back here on the ground. Ever since the news of my niece has taken flight, I kept thinking what if believers did this where ever they went, taping scriptures to other car windows as they got out of their cars at the local grocery store or their own mailbox to encourage the postal worker, Christian businesses putting scriptures on their receipts, or encouraging scriptures being placed with tips left for servers? Why not bring my niece’s inspiration to the ground below, moving the gospel in practical, subtle, everyday life situations? In this challenge, I am going to ask you to intentionally share your faith on a daily basis to strangers in the ways listed above, or in any other way the Lord gives you. It may very well be a note on a window at the grocery store everyday and it may be that very note that changes the direction of someone’s life…you just never know unless you take this challenge. I very well cannot ask you to take this challenge if I myself aren’t willing to do the same! So, with scriptures written on index cards with an encouraging phrase to go along with it, I am armed and ready to move the gospel! Each day as I am going, and doing, for the next couple of weeks, I will journal of my intentionality of sharing and moving the gospel in Jensen Beach, Fl. I pray this encourages and challenges those who find it hard to share your faith. I know it isn’t easy. Getting me to pry my hands from my family, giving up total control, and traveling 6000 miles away to a foreign mission field was terrifying to me as hundreds of thoughts consumed my mind as to how my family would get along in my absence. It is amazing how one mission trip can change your entire perspective of not just why you are here, but also strengthen your faith in such an incredible way. So, shall we begin this journey together? Will you be so bold as to approach the throne of grace and ask the Lord what would He have you do locally to share your faith in this manner. 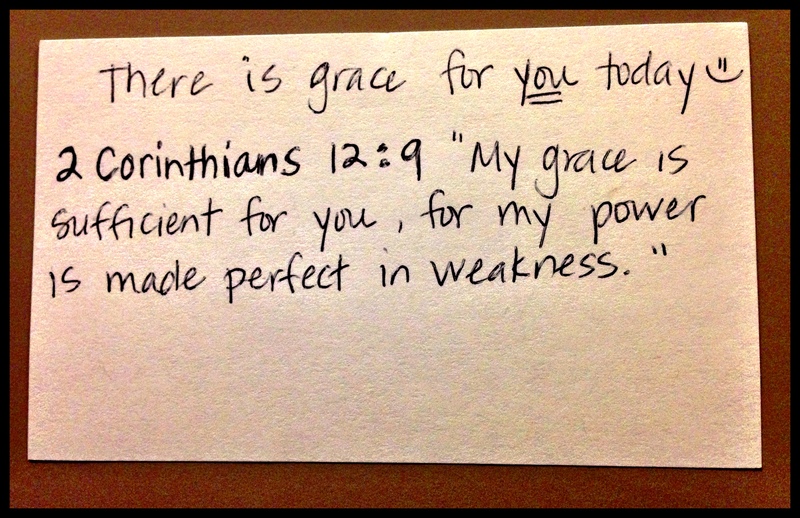 Perhaps it might be writing encouraging notes with scripture on an index card, taping it or leaving it for un-expectant strangers or maybe something completely different. All I know is every time I subtly share in this manner, the voice of fear is silenced & I am empowered more and more to share my faith more vocally than before! My prayer throughout this entire challenge for you is found in Philippians 6:19-20 “Also, pray for me; that whenever I open my mouth, words may be given me, that I may fearlessly make known the mystery of the gospel in which I am an ambassador in chains. Pray that I may declare it fearlessly as I should.” Let’s begin fearlessly making known the gospel together!!! !